Postoperative adjuvant chemotherapy improves survival and reduces the rate of recurrence for patients with stage III colon cancer and may also improve survival in some subgroups of patients with stage II colon cancer. The recommended chemotherapeutic regimens, FOLFOX [Folinic acid (leucovorin) + 5-Fluorouracil (5-FU) + oxaliplatin (Eloxatin)] or CapeOx (capecitabine + oxaliplatin), are more effective than past regimens but also have more side effects. Since 5-year survival rates are improved 20–25% with adjuvant therapy, all patients with stage III colon cancer should be evaluated for postoperative chemotherapy. For rectal cancer, neoadjuvant chemoradiotherapy is recommended for all clinical stage II and III disease to decrease recurrence. In addition, all clinical and/or histologic stage II and III rectal cancers should be considered for adjuvant chemotherapy. 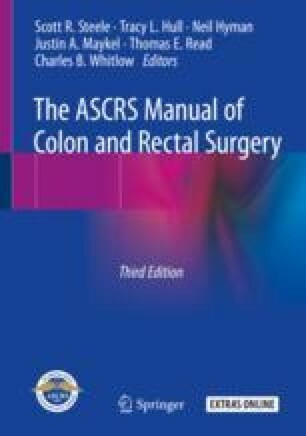 This chapter will review the indications, data, and outcomes for adjuvant therapy for colon and rectal cancer.